“The Bamboo Charcoal Konjac Sponge contains activated carbon and various minerals that enhance absorption, perfect for removing excess oil. It contains natural antioxidants that help fight acne-causing bacteria that are typically difficult to reach.” The Bamboo Charcoal Konjac Sponge claims to also cleanse the pores, gently exfoliate skin, and revitalize the complexion. 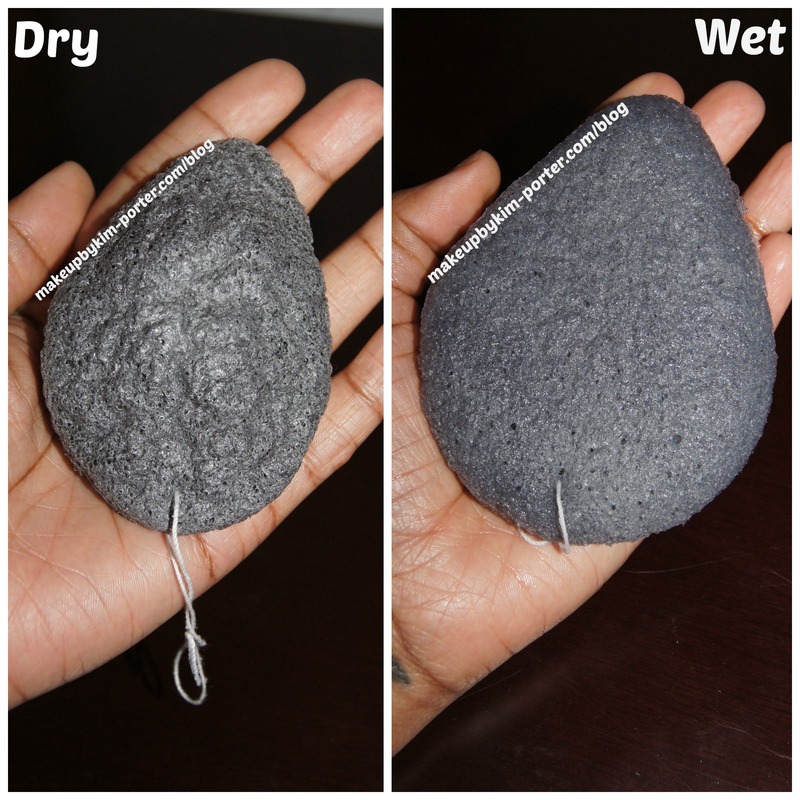 After reading about the Konjac Sponge on so many blogs, and then my favorite #RockMom, June Ambrose posted a version of it on her instagram account – I purchased the Bamboo Charcoal Konjac Sponge by My Konjac Sponge. I chose the Bamboo Charcoal Konjac Sponge because I’ve experienced great results from products with charcoal like the Origins Clear Improvements Charcoal Mask, Belle Butters Neutralizing Butter for Oily Skin, and the Freeman Beauty Charcoal Black Sugar Polishing Mask. 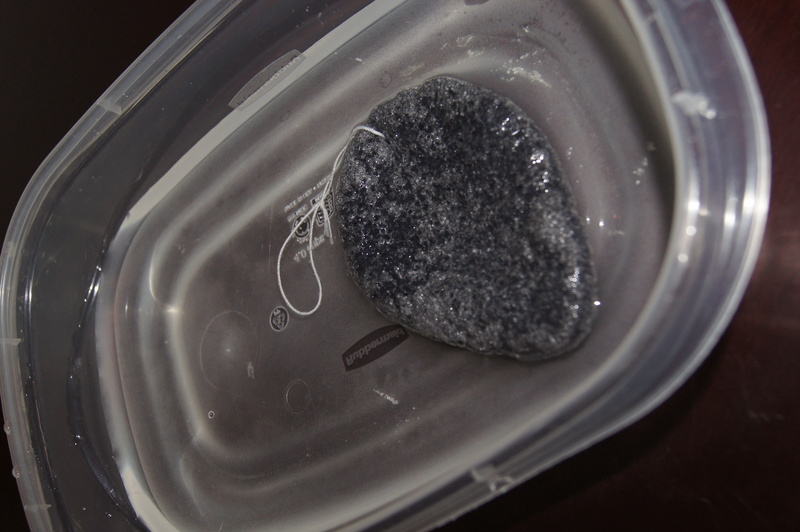 I’ve been using the Bamboo Charcoal Konjac Sponge since February 23, 2014, so it’s been over a month since using it. I must say, I’m surprised by the results, and I am in love. I had some dark spots and blemishes on the right side of my cheek, and during the time Aunt Flow is supposed to show, I’d often break out. One week after using the sponge, I noticed that the area on the right side of my face with the blemishes and discoloration looked remarkably better. I also did not experience breakouts when Aunt Flow came for a visit. The texture of my skin was smooth, and my complexion improved, too! The texture of the sponge is a little bit weird, but I got used to it. It gently exfoliates and can be used with or without cleanser. 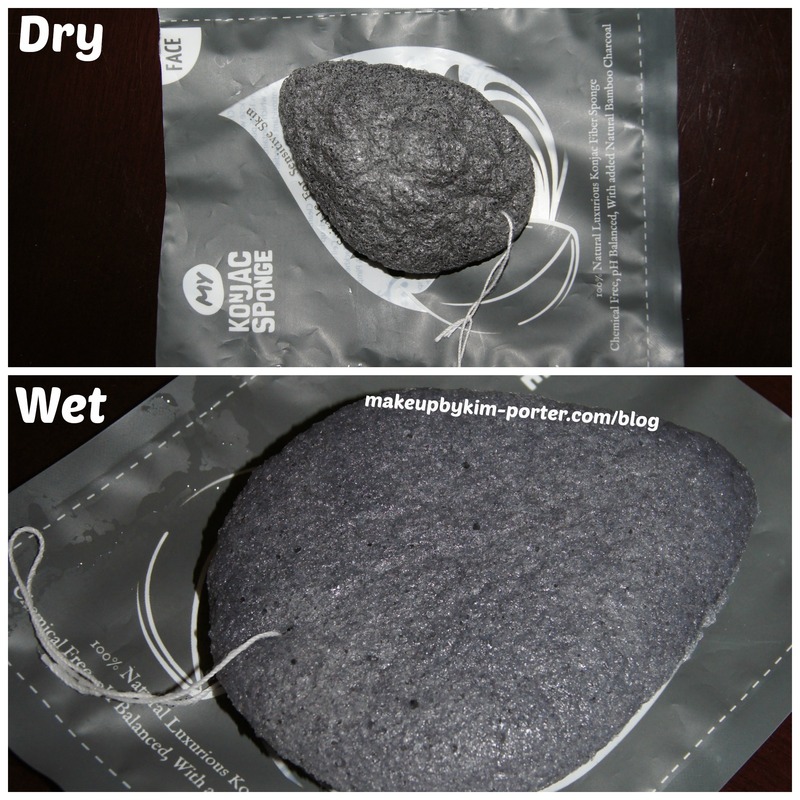 I tried using the Bamboo Charcoal Konjac Sponge both ways, and preferred to use it with cleanser. Depending on the amount of cleanser you use, it may take several rinses to get the soap out completely. The sponge I received came in a sealed package, and was moistened. It smelled a little like the putty that’s usually in those 25 cent toy machines. Just remember to follow the instructions and rinse the sponge before using it. The sponge, once dry shrivels up and hardens. The way it changes size when wet reminds me of a Beautyblender, but the textures are completely different. Another aspect of the sponge I like is that it can last up to 3 months, which is about the same as a Clarisonic brush head, but much cheaper. Cleaning is easy. Every two and half weeks just place it in a bowl of water, and nuke it in your microwave for about 1 minute and 30 seconds. I would recommend trying the Bamboo Charcoal Konjac Sponge. It’s affordable, and works great! I haven’t picked up my Clarisonic MIA since purchasing the Bamboo Charcoal Konjac Sponge. The sponge can be purchased off of Amazon.com for $10 (that’s where I picked up mine). My only issue with this sponge is that it can only be purchased online. It comes in several different formulas for the face: Pure, French Green Clay, French Pink Clay, Volcanic Scoria; and additional sponges are the 6 wave body sponge, and a Baby Bath sponge. I want to try the other sponges, and even pick up a Baby Bath Sponge for my daughter. Have you tried a Konjac Sponge? 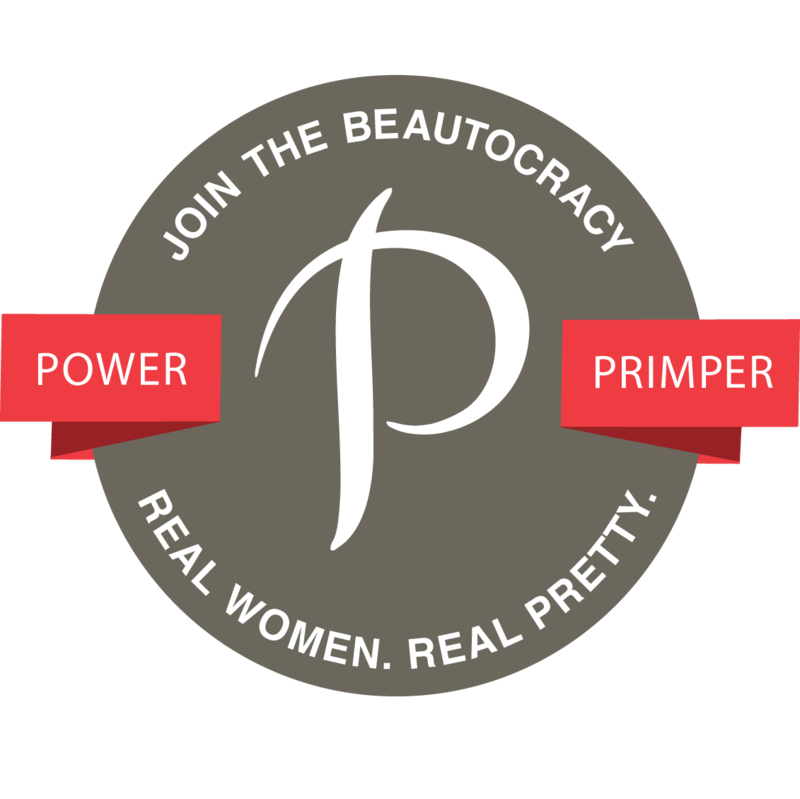 I like my clarisonic but maintenance is costly. The brush heads aren't cheap. I like this because it isn't expensive, works, and isn't as abrasive as the brush heads. I love my Konjac Sponge. I bought mine at Sephora for 18 dollars from Boscia. When purchased is sealed and is dry and hard. Cleansing it is the same as yours. I’m so in love with it! They also make a plain one without charcoal for normal to dry skin types. I saw the Boscia one, but I wasn't sure if I wanted to spend that much money lol I'm not cheap, I'm just on a budget. Eventually, I will try different brands because I'm satisfied with it. I love these kinds of sponges but have not tried this brand yet! Which brand is your favorite? I'm open to trying others. I heard of these sponges a while ago but still didn't feel the need to purchase one. Maybe I should! I think you should try at least one. There are even some that cost under $10 if you look around. This sponge sound amazing!! Love June Ambrose too! I need to check these out ASAP! Great post! Ohh I've actually never heard of this sponge but it sounds amazing! I've heard so many fab things about these sponges! This sounds great! I'll add it to my list of products. I love my black soap, and I'm curious how the sponge would be in combo with the soap. I was curious about how it felt because it looks hard when you look at photos hahaha. I have a clarisonic but I'm not sure why I'm never motivated to use it lol I'm sure i'd use this sponge more often so I am going to 100% add this to my birthday list. Thanks for sharing! I ordered one a while ago, but it's on the slow boat from China. Can't wait to try it! My recent post GOT – Don't Eat The Yellow… Sand? Oooh I never heard of this and my skin needs all the help it can get. I have never tried this. But it sounds like something I need to try! Thank for sharing. I totally want this. Like I said, I've wanted to also try charcoal in my skincare routine so this would be perfect! My recent post The Secret to My Good Hair Days Revealed! 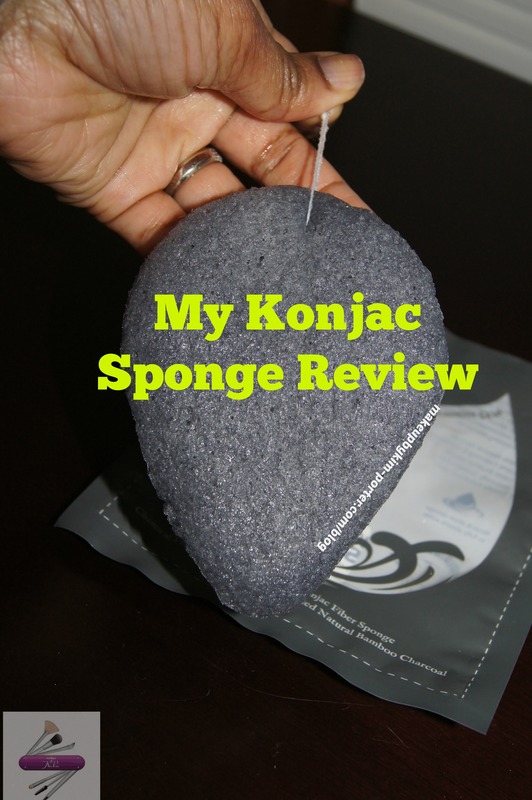 I was really impressed when I tried a Konjac sponge – it is something everyone has to try! My recent post Sephora Giveaway ! !